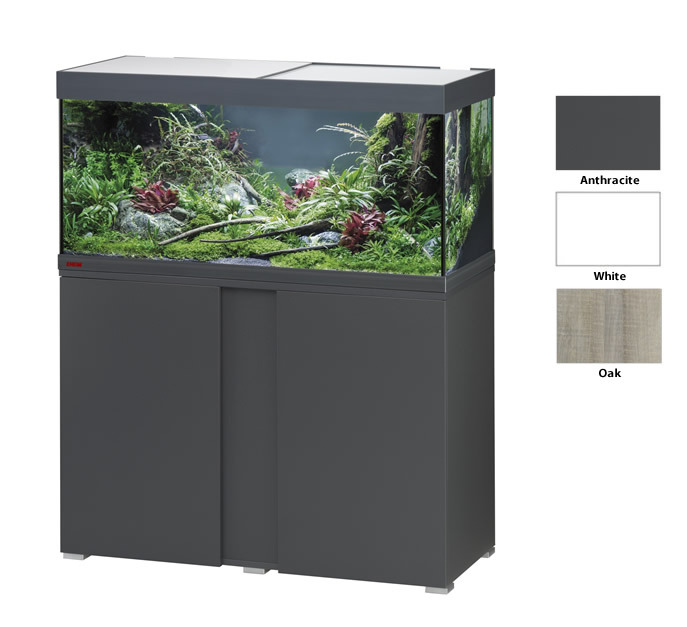 EHEIM vivaline LED – the exceptional all-inclusive aquarium combination in a variety of designs and tank sizes. Complete with high quality technology. Everything perfectly matched. Ready to go. With EHEIM vivaline LED you only need to concern yourself with your fish. Choose – assemble – start. vivaline makes it easy for you. Because you have everything included: the stand, the aquarium, the equipment and even the filter media. There are four furniture aquariums from 126 up to 240 litres. All sizes include a beautiful LED system, integrated filter and heater, as well as additional biological filter media to get you up and running immediately. The cabinet is solidly built, with practical storage space and the doors close softly and shudder free. The decorative front panel can even be unscrewed and replaced for an interchangeable look, all without needing to empty your tank water.